With its unique design and soft microbead filling, the Ostrich Pillow by STUDIO BANANA THiNGS lets you shut out the world and nap virtually anywhere. But can you handle the attention you’ll get when you’ve got it on? Read on for my full review. 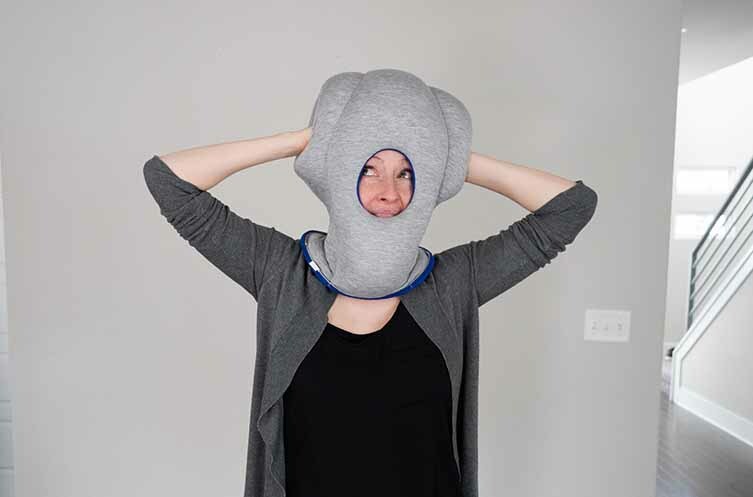 See how the Ostrich pillow ranks on my best travel pillows review. STUDIO BANANA uses smart design solutions to improve lives and have products like the The Original Ostrich Pillow, the Ostrich Pillow Light and the Ostrich Pillow Mini. 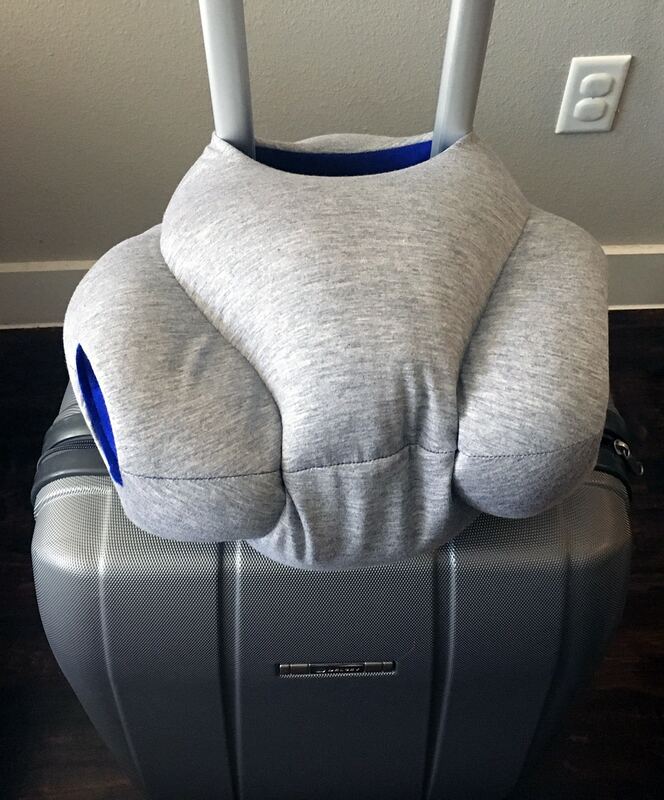 I’d been looking forward to reviewing the Ostrich Pillow for some time as it has one of the most memorable designs for a travel pillow that I’ve seen. The pillow is intended to make it easy to nap anywhere, especially on the go. The makers of the pillow, STUDIO BANANA THiNGS, highlight several ways to use the pillow on their website, including face down on a desk which is a fairly unusual position for a travel pillow. Before I could put the pillow on I needed to wash it and let it air out for awhile because it had a very strong chemical-like smell. This was not the best first impression and I was disappointed I couldn’t just throw it in the washing machine. I used a mild soap and water and hand washed the pillow. It can take several days for the pillow to dry but took a little over one day for mine to dry completely. The smell was less aggressive, but still present. The pillow covers almost your entire neck, head, and face but is surprisingly not claustrophobic. I think this is because it’s roomy inside the pillow, it’s not tight like a mask. I had no problem getting my head through and the opening for my nose and mouth adjusted to breathe. The soft fabric and firm microbead filling make it easy to rest your head in almost every direction. I was able to relax in the car, laying back and lying face down on a desk (although I’m not sure I could maintain that position long enough to actually sleep). The pillow is so unique and very comfortable for rest, but I found the idea of wearing it in public overwhelming. I’m not super introverted, but the Ostrich Pillow will generate attention if you wear it outside the home, and I’m not sure I could rest knowing people were looking at me (out of curiosity and not judgment, I’d hope!). The pillow is also on the bulkier side, there is no way to roll it or compact it into a smaller size and so you’d either need to attach it to the outside of a carry-on in some way or stuff it into a bag to bring onto a plane or train. Overall the unique design of the Ostrich Pillow allows you to find a comfortable position to nap in no matter where you are. The fabric is soft and the microbead filling is firm. However, it can't be machine washed and you may draw unwanted attention when wearing the pillow thanks to its special design. 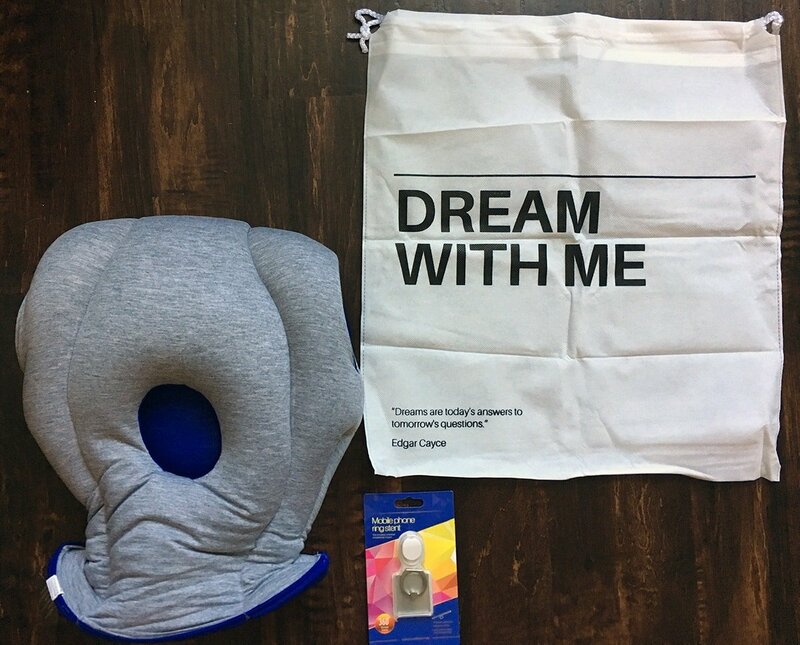 In my opinion, the pillow is a bit weird looking when you wear it but it is also a theme that came up in many reviews – even from people who enjoyed the pillow overall. While I did not have an issue with the temperature inside the pillow, some reviewers found that it got hot inside after a while. It is not machine washable and must be hand cleaned and air dried which can be potentially tedious and time-consuming. The pillow cannot be made smaller so it may take up some room in a carry-on bag. 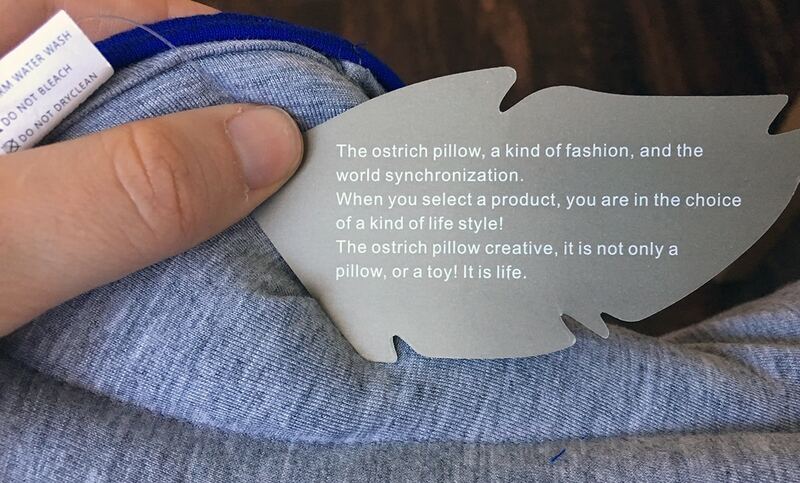 In the end, the Ostrich Pillow’s attention grabbing design and inability to be machine washed or dried made it a bad fit for me. I had a hard time getting passed the weird smell it had when I removed it from the packaging. I also had a hard time swallowing the $99 price tag. Although, I did also see it retail on Amazon for $84. This pillow allows you to sleep in virtually any position that seems comfortable at the time, and that includes desks or tables. This versatility is really nice and its soft fabric and microbead filling was very comfortable. It may be worth the price to some for the quality and thought put into the pillow’s design.